I received a message this morning from Don "Fred" Perry's son, Cameron, that his dad passed away this morning (Monday, April 15) at a nursing home in Green Valley, AZ. He was 89 years old. 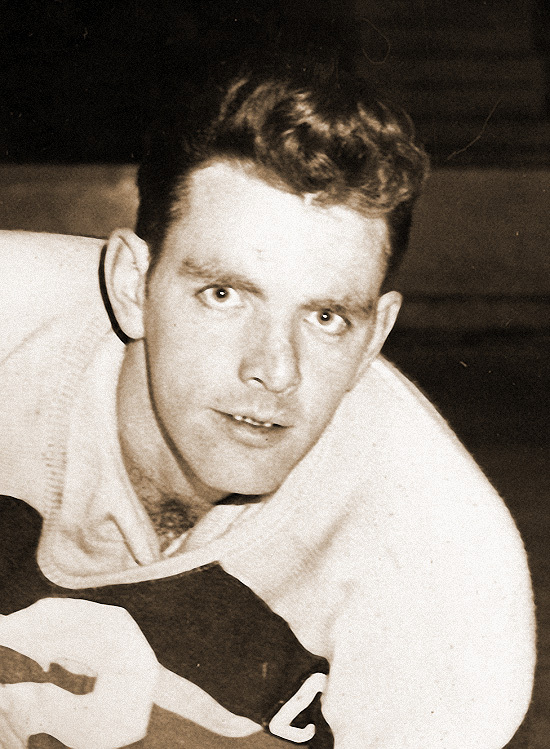 Don played more than 1,000 games in the rough and tumble Eastern Hockey League from 1950 to 1969 mostly with the New Haven Blades and Long Island Ducks. 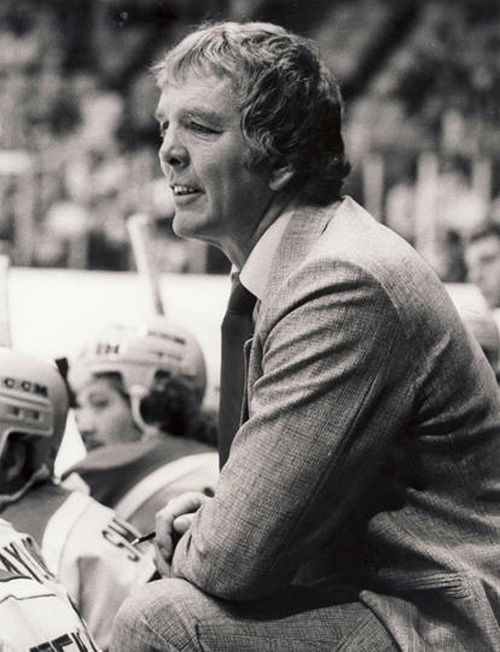 He also had a two decades long coaching career winning three playoff championships with the EHL Blades (one) and IHL Saginaw Gears (two) before finishing his career coaching the NHL Los Angeles Kings (1981-84). The highlight of Don's tenure coaching the Kings came on April 10, 1982 when after trailing the Edmonton Oilers, 5-0, after two periods in a first round playoff game at the Forum in Los Angeles his Kings scored five unanswered goals in the third period and won the game, 6-5, in overtime in what is still called the "Miracle on Manchester". Perry's Kings went on to take the best-of-five series, three-games-to-two, to upset the powerhouse Oilers which had finished the regular season with 111 points, 48 more than the Kings' 63. A tough as nails defenseman from Edmonton, Alberta, Don and the late John Brophy ruled the EHL physically for the 1950s and 1960s often tangling in ten bell fights. Speaking of Perry, Brophy and Blake Ball terrorizing the EHL the late Flyers Hall of Fame broadcaster Gene Hart once observed that "with these guys as competition, Attila the Hun would have won the Lady Byng Trophy". The story goes that after one of their many fistic confrontations Don and John were called on the carpet by EHL President Tom Lockhart who intended to give them stiff suspensions. The response from these two noble "best of enemies" was to laugh at the prospect and ask Lockhart just who he thought EHL fans bought the most tickets to see play. "OK", Lockhart replied, "I guess I won't suspend you two. Just please try to be a little more careful next time." Don Perry was not only a great "hockey lifer", like his contemporary Gordie Howe he was an even better human being. It was an honor to know Don Perry and to call him my friend. RIP "Fred" -- it was a blast knowing you! !